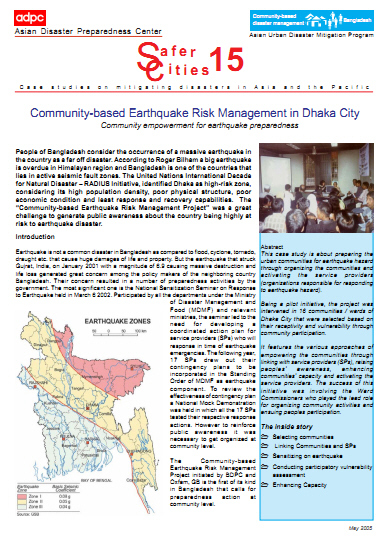 Dhaka City that were selected based on their receptivity and vulnerability through community participation. It features the various approaches of empowering the communities through linking with service providers (SPs), raising peoples’ awareness, enhancing communities’ capacity and activating the service providers. The success of this initiative was involving the Ward Commissioners who played the lead role for organizing community activities and ensuing peoples participation.